Duh. 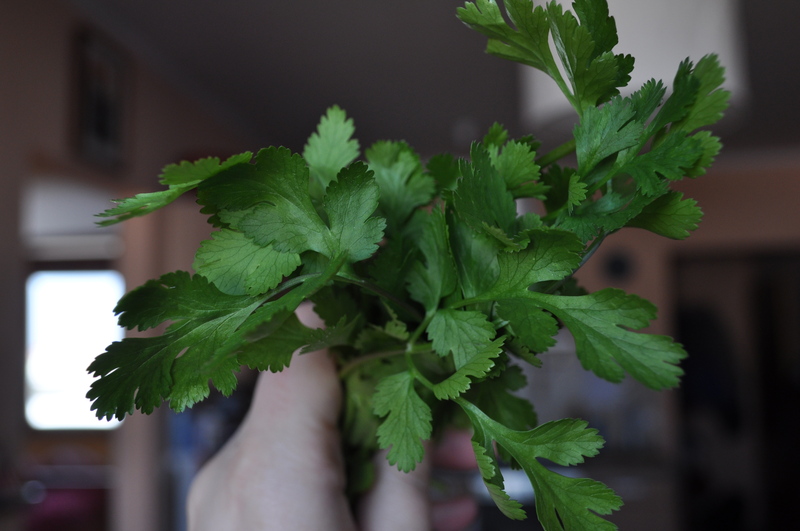 Everyone knows that Coriandrum sativum, the annual herb in the Apiaceae family familiarly named “coriander” is known in the Americas as cilantro. Except for me. Which is mildly devastating to the picture that I have of myself as a culinary saveur. More distressing, perhaps, is that I have long given up the hope of finding cilantro here, thus giving up an array of my favorite foods. What is wrong with me? How could I have not known this? I’m so sorry Nigella. I don’t deserve you, and I never did. I could make an excuse here about the English to Hungarian language barrier, but Koriander is a pretty easy cognate to grasp. And since yesterday was Superbowl Sunday, I graced Györgyi with my salsa recipe. And bless her Hungarian heart, she loved it. In honor of this great moment in my life in Hungary, I will post my favorite cilantro-dance of all time. Which I have done several times since we found it here and will do it again, and in public.